NYU leaders hope the move will help address the increasing problem of student debt among young doctors, which many educators argue pushes students to enter higher-paying specialties instead of primary care, and deters some from becoming doctors in the first place. "A population as diverse as ours is best served by doctors from all walks of life, we believe, and aspiring physicians and surgeons should not be prevented from pursuing a career in medicine because of the prospect of overwhelming financial debt," Dr. Robert Grossman, the dean of the medical school and CEO of NYU Langone Health, said in a statement released by the university. NYU declined a request to elaborate further on its plans. The announcement generated headlines and cheers from students. But not everyone thinks waiving tuition for all med students, including those who can afford to pay, is the best way to approach the complicated issue of student debt. "As I start rank-ordering the various charities I want to give to, the people who can pay for medical school in cash aren't at the top of my list," says Craig Garthwaite, a health economist at Northwestern University's Kellogg School of Management. "If you had to find some cause to put tons of money behind, this strikes me as an odd one," says Dr. Aaron Carroll, a pediatrician and researcher at Indiana University. Still, medical education debt is a big issue in health care. According to the Association of American Medical Colleges, which represents U.S. medical schools and academic health centers, 75 percent of graduating physicians in 2017 had student loan debt as they launched their careers, with a median tally of $192,000. Nearly half owed more than $200,000. But it is less clear how much of an impact that debt has on students' choice of medical specialty. The AAMC's data suggest debt does not play as big a role in specialty selection as some analysts claim. If debt were a huge factor, one would expect that doctors who owed the most would choose the highest-paying specialties. However, that's not the case. "Debt doesn't vary much across the specialties," says Julie Fresne, AAMC's director of student financial services and debt management. Garthwaite agrees. He says surveys in which young doctors claim debt as a reason for choosing a more lucrative specialty should be viewed with suspicion. "No one [who chooses a higher-paying job] says they did it because they want two Teslas," he says. "They say they have all this debt." Carroll questions how much difference even $200,000 in student debt makes to people who, at the lowest end of the medical spectrum, still stand to make six figures a year. "Doctors in general do just fine," he says. "The idea we should pity physicians or worry about them strikes me as odd." Choice of specialty is also influenced by more than money. Some specialties may bring less demanding lifestyles than primary care, or more prestige. Carroll says when he opted for pediatrics, his surgeon father was not impressed, calling it a "garbageman" specialty. There is also an array of government programs that help students afford medical school or that forgive student loans, although usually such programs require the new doctors to serve several years either in the military or in a medically underserved location. The federal National Health Service Corps, for example, provides scholarships and loan repayments to medical professionals who agree to work in mostly rural or inner-city areas that have a shortage of health care providers. And the Department of Education oversees the Public Service Loan Forgiveness program, which cancels outstanding loan balances after 10 years for those who work for nonprofit employers. 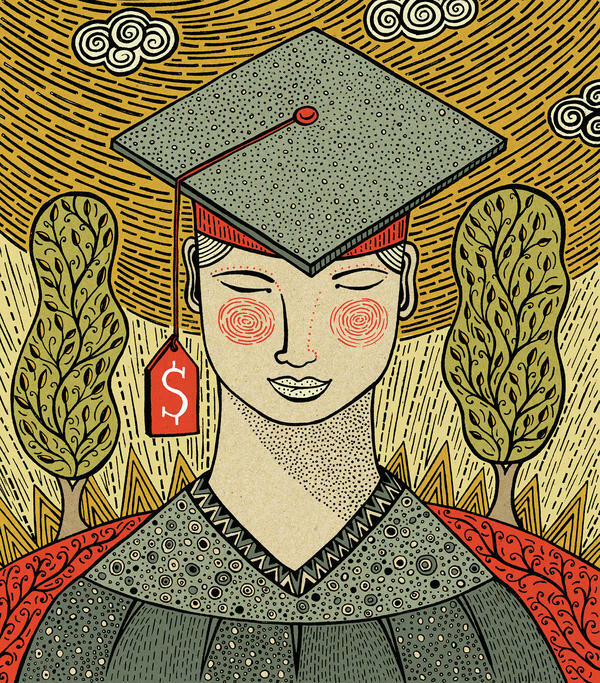 Medical schools themselves are addressing the student debt problem. Many — including NYU — have created programs that let students finish medical school in three years rather than four — reducing the cost by 25 percent. And the Cleveland Clinic, together with Case Western Reserve University, has a tuition-free medical school program aimed at training future medical researchers. It takes five years, but grants graduates with both a doctor of medicine title and a special research credential or master's degree. This latest move by NYU, however, is part of a continuing race among top-tier medical schools to attract the best students — and possibly improve a school's national rankings. 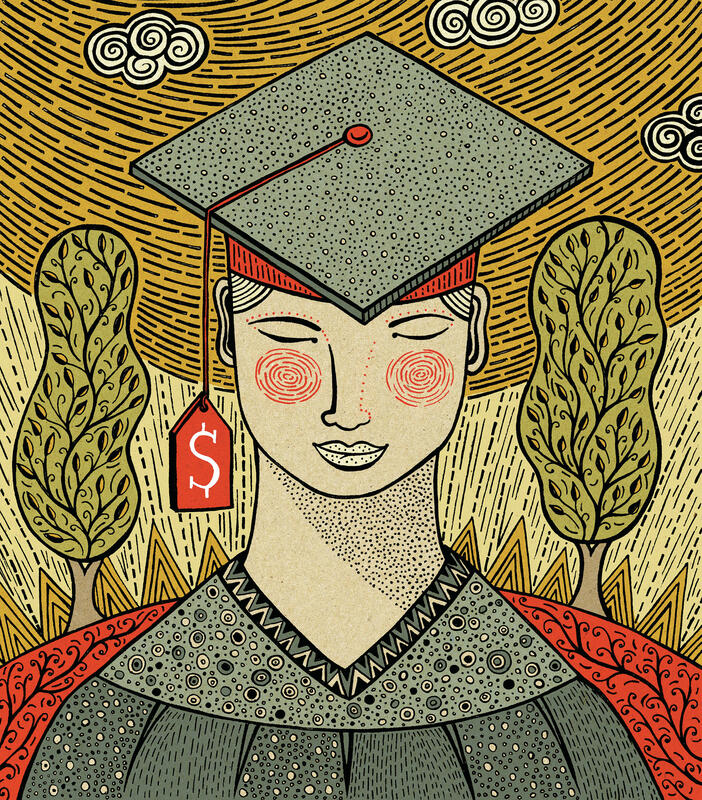 In 2014, UCLA announced it would provide merit-based scholarships covering the entire cost of medical education (including not just tuition, but also living expenses) to 20 percent of its students. Columbia University announced a similar plan earlier this year, although unlike NYU and UCLA, Columbia's program is based on a student's financial need. These programs are funded, in whole or in part, by large donors whose names brand each medical school — entertainment mogul David Geffen at UCLA, former Merck CEO P. Roy Vagelos at Columbia, and Home Depot's co-founder, Kenneth Langone, at NYU. Economist Garthwaite says it is all well and good if top medical schools want to compete for top students by offering discounts. But if their goal is to encourage more students to enter primary care or to steer more people from lower-income families into medicine, waiving everyone's tuition "is not the most target-efficient way to reach that goal." Kaiser Health News, a nonprofit news service, is an editorially independent program of the Kaiser Family Foundation, and is not affiliated with Kaiser Permanente.